1.Judges cannot take money for judicial favors. 3.Judges cannot promise to rule one way or another on any subject. A lot of discussion about applying these simple rules focused on whether the ad Justice Gabelman ran was a lie or not. The devil is in the interpretation. The objective is to have judges who are disinterested and fair. Recent trends, however, would make this impossible dream even more so. Two cases have been decided at the highest level which indicate that judges can have a partisan bias and can run on it, which seems to come very close to breaking rule 3 above. Another case has said that the remedy for partisanship and predictability is recusal. The application of this ruling is widely believed to lead to judicial paralysis. Most experts agree that the best a supplicant is going to get is judicial aspiration to open-mindedness leading to fairness. Those in favor of appointment contend that this is what we have already in most cases in Wisconsin. Although 5 of the present 7 justices on the Supreme Court won open seats, over time the odds that a Justice will get the job by appointment first are very high. So, they say, why not change the Constitution and face up to reality. They also say that this mixed system flirts with cronyism which may suborn mediocrity. 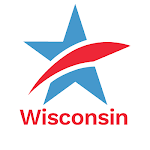 An appointive system where the governor must select from a list of candidates selected and vetted by dispassionate, experienced, public spirited people who want only the best for the Wisconsin judiciary guards against those kinds of missteps. Those who favor election over appointment offer two arguments. The first is that in a state like Wisconsin where we elect coroners and people to statewide offices which have no responsibilities there is no chance to pass the necessary constitutional change to get to an appointive system. Get real, they say. A middle ground was not suggested, but there is a way to get one of the virtues of an appointive option for the elected system. It is possible to enact the selection of candidates procedure by statute which would be part of the appointive system and not have to change the constitution. Governors would be required to pick a candidate from a pool created by the aforementioned dispassionate, experienced, public spirited committee members. We would elect first time justices to open seats. Those appointed to fill unfinished terms would have to go through the rigorous hoops that an appointive system would prescribe if we had an appointive system. And, of course, we can make the elective system itself better and more civil and less expensive by offering full public funding and spending limits, by maintaining the Judicial Commission standards, and by enacting monetary disincentives which would seriously discourage third-party campaigns and phony issue ads. Maybe Caesar’s wife isn’t dead after all.